Stacey Annaloro said she "just could not believe it," when she discovered her $50,000 Powerball win! 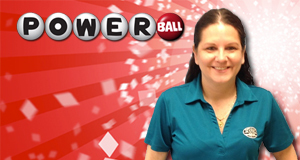 Stacey is a frequent Powerball player and purchased her winning ticket at Time Saver 3 in Slidell. She plans to use her winnings to pay off medical bills. Congratulations Stacey!